I saw a great quote the other day on Facebook; it went, “If you think you are too small to make a difference, try sleeping with a mosquito”. It’s so appropriate right now I quote it again, as our little petition to try to save Salgados has had the most amazing effect! We started the petition because we thought someone had to stand up and say “ENOUGH!” and if no-one else was going to, well, it might as well be us, but we never thought that it’d be as successful as it has been. It’s gone right around the world – and then some – continues to grow and grow and has had really great consequences. First of all, it’s raised awareness of the issue and put Salgados on the map as far as a groundswell of opinion against further development of this fragile area is concerned, but it’s done much, much more. The water levels at the lagoon are rising to where they should be at last, (though unfortunately too late for this year’s breeding success as a great number of birds didn’t make it), and as far as rockets under “competent authorities” backsides are concerned, it’s been as great a success as any I’ve ever known. APA, the Portuguese Environment Agency, put out a press release the other day in an attempt at Damage Control, blaming the water loss on a single farmer … this was quickly picked up by the press and shown to be a fabrication and distortion of facts. APA’s already dubious competency took yet another knock. It also became common knowledge that, notwithstanding an agreement of management having been signed with SPEA and the RSPB over four years ago, they have yet to even install a meter for the neighbouring golf course – so have no way of knowing how much water has been taken by that entity, despite saying that they have taken 30% less water this year than last. The publicity engendered by the petition has shown APA in a very bad light indeed, and I sincerely hope that lessons will have been learnt. Another good thing to have come out of the petition is a letter from the Ramsar Convention to the Portuguese Government. This is really quite an achievement and has been generated uniquely by the raised awareness granted by the petition. There have been some organisations that have really helped the petition along the road, principally of course Avaaz themselves, (so if you haven’t joined their organisation I suggest you do), but notably also the Wildfowl and Wetlands Trust that have pulled out all the stops to grant it more publicity, so a very big thank you to them and to SPEA too who are right there and have been since the beginning. We had a meeting last night chaired by Almargem and there were representatives from Quercus, the LPN and SPEA as well as several concerned individuals like myself and members of the local press. Amongst other actions, we’re going to invite the Portuguese President, who’s coming on holiday just down the road in a few week’s time, for a quick view of Salgados itself and the neighbouring, empty and derelict resort … I wonder whether he’ll reply! Well, the effort continues, so if you have friends who haven’t yet signed the petition, beat them around the head until they do, that’s the first thing! Only with the petition growing steadily but surely can we give the NGOs the tool with which to fight for greater protection of the site and a rescindment of the building permission already granted. This is seriously important. Next, if you’re in Portugal come along to Salgados on the 6th August at 14.00 and join our protest – the more the merrier. We’ll be at the Dunas Café on the western edge – and if you know any members of the press do tell them about it! Now I have to do just that, so see you there! Female Montagu’s Harrier in early morning sunlight-4360, originally uploaded by Paradise in Portugal. The Save Salgados Petition has had to take a little bit of a back seat during the last few days as I was already booked as a Birding Guide pretty well solid this last week. The petition hit 10,000 yesterday evening just three weeks after it was started and the response has been terrific; thank you all so much for signing and sharing. 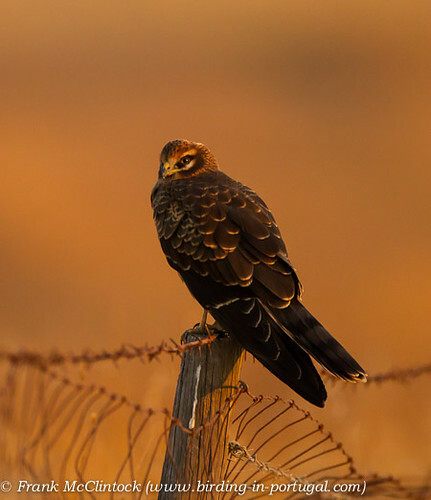 I wish I could have shared this beautiful Montagu’s Harrier with you as a better way of expressing our gratitude, but here’s a picture of it anyway. We also had amazing views of a family of Bee-eaters feeding their chicks and I’ve posted up some piccies on my Birding Blog if you want to see them. IMG_0262.jpg, originally uploaded by Paradise in Portugal. This is Salgados right now … officially “protected” as a Wetland Bird Sanctuary of prime importance, but in fact completely dry! Just sun-baked earth … no Life at all. If this is what full protection means now, what hope have we if the “development” of the area goes ahead as planned? It’s a disgrace that Portugal is currently promoting itself as a location for Nature-based holidays while allowing the degradation of a unique area like this to be despoiled in an erroneous grab for tourist dollars. 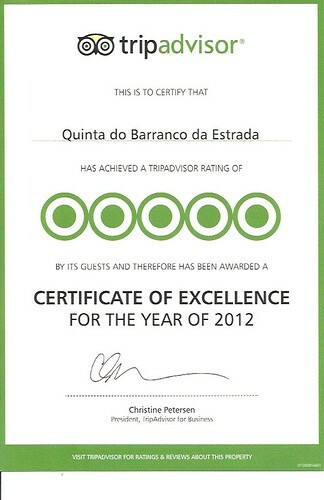 Tripadvisor Certificate of Excellence 2012, originally uploaded by Paradise in Portugal. We’re very proud to be awarded the above, but thankful too to all of our past guests who have taken the time to let Tripadvisor know what they think, so a very BIG “Thank you” to all of you! 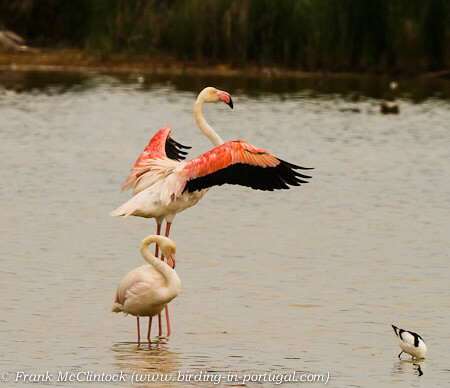 Flamingos, originally uploaded by Paradise in Portugal. Today we managed to get both SPEA, (Sociedade Portuguesa para Protecção das Aves), and it’s better known counterpart the RSPB, to both publish articles with the petition link on their websites. SPEA’s is here and the RSPB’s here. The petition’s numbers are climbing steadily; 4,320 now, and we should have breached the 5,000 mark by this time tomorrow – so let’s head for 10,000! And after that 20,000! Let’s really show these politicians and property developers that it’s OUR land too! What next? I’m trying to get the Audubon Society involved and have written to and rung all their Press officers and editors. Does anyone have any contacts? Also, does anyone have any UK media contacts? If so can you write to them – or if you haven’t got the time to, can you introduce me and I’ll do it? If we can get some Big Hitters involved … any help you can give us would be very gratefully appreciated. See you the other side of 5 grand!